Alas. I swear to you this is not one of these times. This, I post with my most serious pants on (they’re high waisted for extra seriousness): Skinceuticals CE ferulic is the one serum secret all the beauty editors have been hiding from you. That glow they all have? The bright, dewy skin that makes them all look 15? Yeah, they weren’t all born with it. It’s because of this serum. That, and the 53459345 free facials they get a week, obvs. I know this because I was once a real life beauty editor/ beauty director for a real life magazine (remember those?! )… and I guess technically I still am one (just the vagabond, extremely unkempt kind with bad regrowth). I also know this because I found out about this product through two superb human beings who have THE most incredible skin and who both happens to be beauty editors. See! My claims are true! So my dear pals Hayley, Sherine and I were talking about our faces one day and they mentioned Skinceuticals CE ferulic serum… which I’d never heard of because I’d been working at a teen magazine for nine years so my jam was more acne treatments. Naturally, they were horrified that I hadn’t “the best serum ever” so I had to get it. And wowee, was that a good life decision. As soon as I started using it people were all “ohhh you look amazing” and were asking me what I was doing/ using/ injecting to be so goddamn glowy. Naturally, I blabbed to the entire world about it, and it became not so much of a secret anymore. But I don’t care because everyone deserves to glow like the 5km run you never actually ran. It’s an all-round anti-ageing superstar that targets a few million skin concerns (evenness, brightness, sun spots, wrinkles plus it fights free radical damage). Ferulic acid is a plant-based antioxidant that also apparently helps stabilize vitamins C and E. Which brings me to these guys. Vitamin C has long been a hero for pigmentation and that’s because it’s a crazy good antioxidant that helps with brightness and evenness, reduces inflammation, fights free radicals (these are the bad guys that fast track ageing) – AND it stimulates collagen. What a show-off. Vitamin E you probably know of as anti inflammatory – which it is – but it’s also an antioxidant too. So, in conclusion what you get with CE Ferulic is a little slice of beauty magic. A triple threat of antioxidant powerhouses that will help protect you from environmental damage as well as giving you hella good glow (and you know, helping with sun damage too). It also claims to protect from UV rays, but nothing that better than a sunscreen if you ask me, so don’t go ditching that. EVER. Now, the not-so-good news: this is an exey one. At a cool $188 (AUD) it’s one for post pay day. I don’t usually recommend expensive products because a) I’m a realist and b) I’m also a glorified backpacker so can’t afford them myself. But, this is one I’ve actually spent my hard earned freelance money on. And my face loves it because she’s a fancy demanding diva like that. It lasts a long time too since you only use a few drops in the morning patted over your face, so cost per session is basically cents. The only other thing I’ll say is that it does smell a little funky in mushroom kind of way, but you’ll get over that pretty quick when you see the results and the compliments start rolling in. And that, miei amici is all I have to say about that. 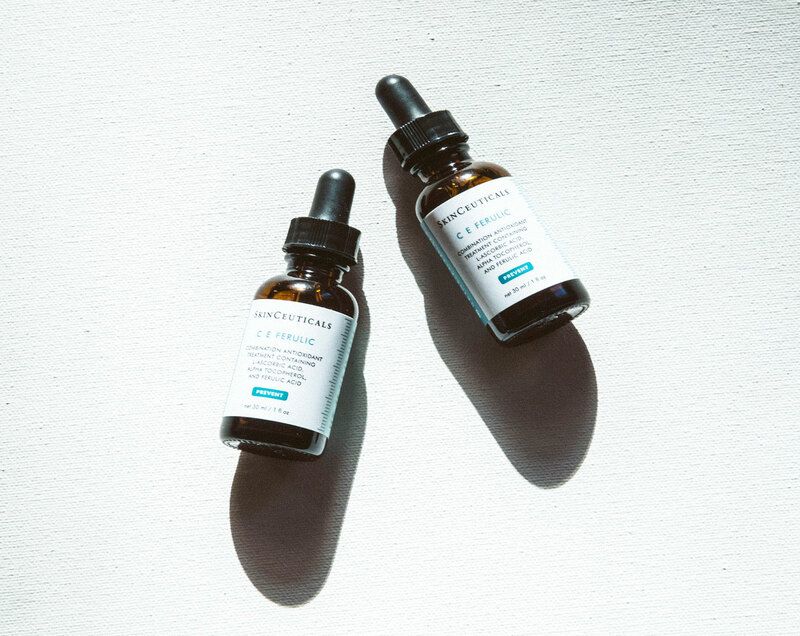 Have you Skinceuticals CE Ferulic? Do you want to? Don’t give a toss? Comment below and let me know your feels.